EarthEcho International | Commit to take action with the Youth Leadership Council and #3T4E! Commit to take action with the Youth Leadership Council and #3T4E! On November 1st EarthEcho International's Youth Leadership Council (YLC) will launch 3T4E, which stands for three pieces of trash for the Earth. On this day, the YLC will leverage social media to engage people of all ages across the world to pick up three pieces of trash, take a picture, and post it on Instagram, Facebook, or Twitter with #3T4E and their location. The goal is to show how small acts can result in a major impact because EVERY little thing we do makes a difference! The YLC will track locations, recyclables recaptured, and litter diverted from our waterways to show how a small and easy act made by each person can become a huge act when made by many people. Help the YLC spread the word about this project through your own social media channels and other networks through our promotional Thunderclap campaign! Make a global difference, 3 pieces of trash at a time. I’m/We’re tagging a selfie with #3T4E on Nov 1st! Will you join me/us @ bit.ly/3T4Earth2016? Commit to taking action on November 1st by signing up for a reminder at: www.bit.ly/3T4Earth2016. And most importantly ACT! 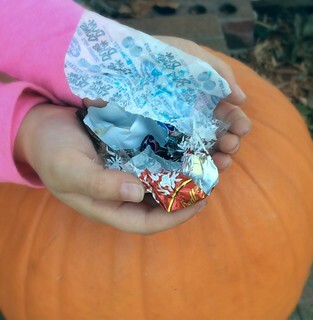 On November 1st pick up 3 pieces of litter, snap a selfie, and post with your location and #3T4E. Tag your friends and challenge them, just 3 pieces of trash for planet Earth! Be sure to connect with EarthEcho on Facebook, Twitter, and Instagram. By working together, we can reach a large spectrum of followers willing to commit to bettering the environment and making a change.